Does anyone know what this is: https://www.jauce.com/auction/q228964047? 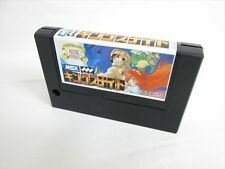 Seller seems to claim it is for MSX, but I'm not so sure. It has a cartridge which somewhat resembles an MSX cartridge, only missing the hole. Manufacturing year is unclear. Perhaps it says 83.8, which would be very early, but I'm not sure about the first digit being an 8. Also I have never encountered the manufacturer Takei Kiki Kogyo Co., Ltd before. The external device is very strange. It has three power sockets which are labelled TV, Radio and Lights. The purple/blue port is labelled "cartridge", and the ports around it with blink, switch and chime. The dial allows you to switch between blink, switch and chime. My guess is that the cartridge perhaps plugs into an MSX, and connects to the external device which in turn can be used to control external devices? This is a word processor that does not need keyboard. The user must type with the eyes. This is the first time that i see it. Too bad there is no manual. MSX-FAN seems to have presented this device. "The first device of this kind in Japan." Hmm... Indeed it could be some medical help device for paralyzed person to communicate by writing. I think the blink/switch/chime might be optional input methods depending of the customer situation and power sockets would be for controlling house hold items nearby. I could imagine that this kind of device works so that software displays different sets of letters / other options and user blinks or pushes a switch each time the correct selection is displayed on screen "to zoom in" to correct set. 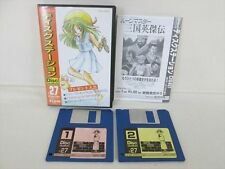 So... How do you guys think this device should be called in English, such that it can be added to GenMSX? In japanese this is "目で打つワープロ" (Me de Utsu Wor-Pro). I translate it be: "Word processing that we tap with the eyes". Thanks. The English translation sounds rather strange, but ok.
Then how about "Eye-Operated Word-Pro" or something? My old human-computer interaction university book says that it's a generic eyegaze device. Eyegaze system is used in military jets to follow and move missiles with the eye only, so eyegaze is used by people with disabilities to move the mouse arrow, and eye-blinking is equal to finger-clicking. Did I get the translation correct that this is not tested because it is missing cable between cartridge and device?